I love tiny things, and travel size versions of favorite toiletries are no exception. Not only are they cute, but they certainly do they save space and weight in a bag when compared to full-size versions. Sometimes favorite products are available in travel sizes, but many are not, which makes bottling them up at home necessary. Buying small empty bottles for this purpose has always struck me as a poor use of money -- those small bottles are rather expensive to be empty, don't you think? I've bought one here or there for shampoo or mouthwash, but I've really tried to repurpose my small containers instead. 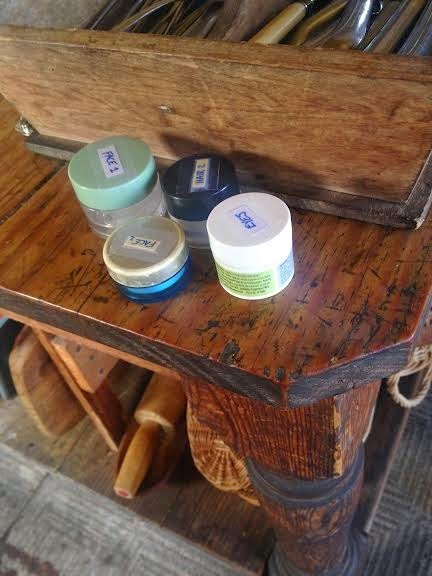 For years I've saved small empty bottles of products like lip balm and eye cream because they often make perfect travel-size containers for other products like moisturizer or face wash. However, as smart as this plan may be, I kept running into problems. Mainly, I would constantly forget what was inside. Writing the names of products often required more space than the top of the container would allow, so I usually chose to leave it label-less, certain I'd remember, and always forgot. If a white cream is discovered in an old lip balm container, there is no good way to know what the cream might be. Sometimes the consistency of the cream helps eliminate options, but often trying to be a product detective is more trouble than it's worth. tiny container still displayed the name, so I was forced to remember what new cream was inside. 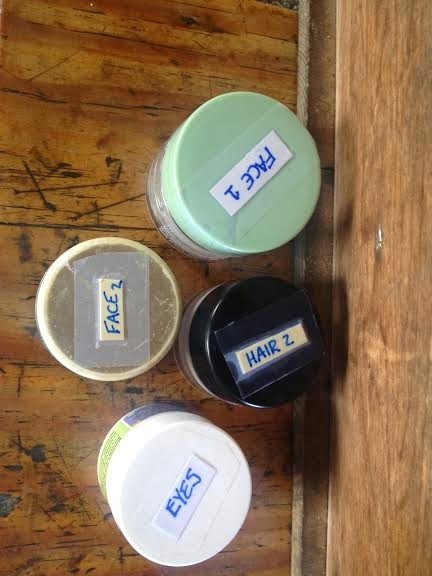 Now I've got a new method to repurpose those little containers for travel, and it's working well enough that I think it might be worth sharing: Super simplistic "labels." Besides the shorter words fitting onto the small bottles more easily, if a container's contents needs to be added to, it doesn't mater what brand is added. Obviously the order for the numbers are all best when adapted to the person who uses them, but I've found this system to be useful for travel -- both for the pool and for weekends away. It's one of those tiny, silly things that seems to make my life just a little easier. Do you have a great way to organize your travel items? I think we're all constantly looking for better ways to travel, don't you?